SHI Introduces a New Cryocooler | News - Fiscal 2003 | Sumitomo Heavy Industries, Ltd.
SHI Cryogenics Group launched 4K pulse tube cryocooler. With its novel cooling theory of having no moving parts inside the coldhead and its unique design of separated valve unit. 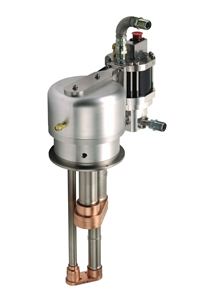 4K pulse tube provides suitable cryogenic solutions to the applications such as sensitive measurement,continuously operated system or as a substitute for liquid helium.